Christmas Giveaway! – History… the interesting bits! This sounds fascinating, and is close to the period of my WIP Alliance 1031 AD. In fact, the more I write, the closer it gets! I would absolutely love to have this book. It’s about a time period I’m drawn to, some of the women are in my family tree, and I love history in general. I would love to receive a signed copy of your book! Like many people, I have traced my ancestry back to many of these nobles and it would be wonderful to read more about them. Thank you. These books both sound so amazing. If only available in Canada before next year. 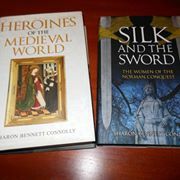 I was so excited to learn about The Silk and the Sword! Then I was sad I would have to wait for it to come out. lol I have such a love of British and European history. Stories about medieval women and the roles they played are so rare and I am truly looking forward to your book! Thank you so much! As one of your fans I would love a copy to place next to your other book. I feel you are one of the finest researchers of our time! Excellent stuff! I would love to be entered in this drawing! I enjoyed your previous book so much. Sounds like an incredible book! A signed copy would be a lovely gift. 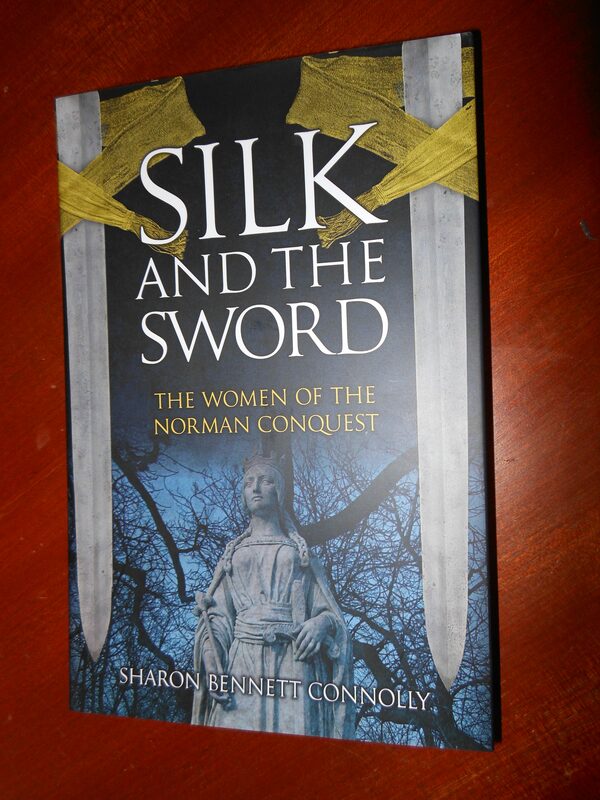 So hopeful to win a copy of The Silk and the Sword! Thank you for including me in the drawing. Thank you! This is very generous of you and would be a terrific gift. I have loved receiving and reading “history, the interesting bits” as well as reading any well-written and sourced histories of women’s lives and deeds. History is extraordinarily compelling and the history of women is an important and often forgotten subject. 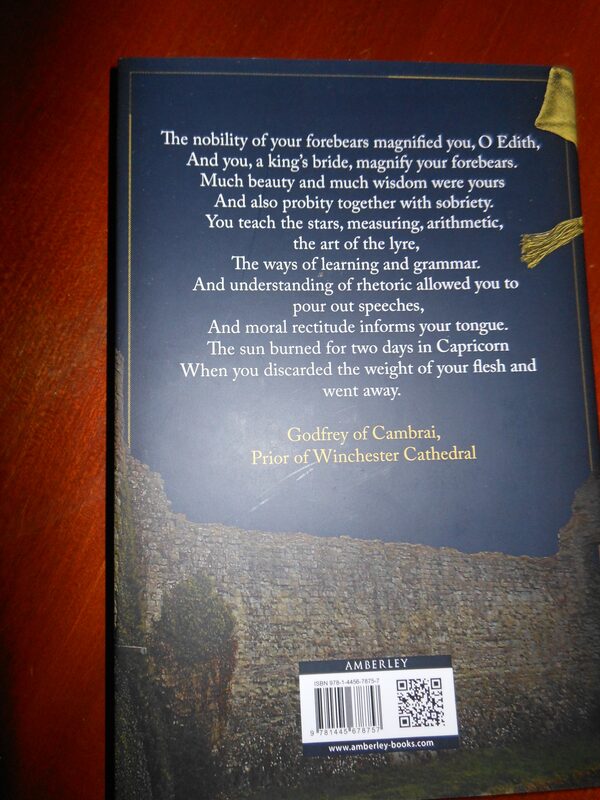 I would thoroughly enjoy reading and receiving the gift of “The Silk and the Sword”. Also, I was told of my family’s history, through my greatgrandmother’s line, from the time of Matilda of Flanders (and her husband William the Conqueror). I hope that your book is a best seller! Loved reading Heroines of the Medieval World and can’t wait for this one. So many of my ancestors are finally fleshed out a bit more. Great job! Thank You very much for the chance to win a signed copy of your book! That is something very special for it can be passed down to others in the family as a treasured keepsake full of knowledge. I’d love to win a copy! Please enter me in the giveaway. Sounds fascinating. I have not read anything by you before, but it sounds amazing to read some of the great moments in history from a woman’s point of view. Definitely something I would like to add to my TBR. Wishing all the success your hard work and dedication to your craft can/ may bring. My daughter is a huge fan and I would love to put a signed copy of your new book under her Christmas tree. I’d love a signed copy. I’ve always been intrigued by these women! Please enter me for the drawing. Thank you for the opportunity to enter this giveaway, Sharon. Thank you for the lovely offer! It is always fun and fascinating to learn more about The Family! Mother’s family always had a verbal genealogy that we were related to Duke William. I did the research, and … waoh! … there it was. My 25th great grandfather. Also the deLacys and the deWarennes. Amazing! Also learned my parent’s families are related, in the mid 1750′[s; all from Yorkshire. Hm! I would love to win a copy of this wonderful book so I can learn more about my ancestors and other amazing women. This book sounds absolutely fascinating. Would love to win a copy but I’ll probably buy one anyway. I really want to read this book, but I can’t even get it yet! It’s not available in the USA until March of next year. Winning it would be a huge boon. Thanks for offering it as a giveaway. Good luck to everyone entering! Hello! I would enjoy winning a copy of your new book. I am not as familiar with the Norman Conquest era as I am with the history of the 19th and 20th centuries, but I would always like to know more. Thank you very much! Sounds like a very interesting read. Please enter me in the giveaway. This book looks fantastic. I would love to read it and learn more from this time in history. Looks really nteresting. Thanks for the women’s point of view!